As you drive through the nicest neighborhoods, what tends to get your attention? Perhaps it’s the landscape architecture, gardens and plantings. This is probably followed by shiny and interesting structural elements unique to each custom-built home. The architecture of luxury “estate” properties exudes the aura of stateliness and permanence and singularity, largely determined by unique design accents. There is a clear distinction between commonly offered luxury home designs and truly unique (only one in the world) “architectural homes.” Architectural homes sell for a premium over their neighboring properties that have only commonly offered design features. Older homes with exclusively unique architectural designs hold their premium value indefinitely. Add curb appeal and extra value to your designs! 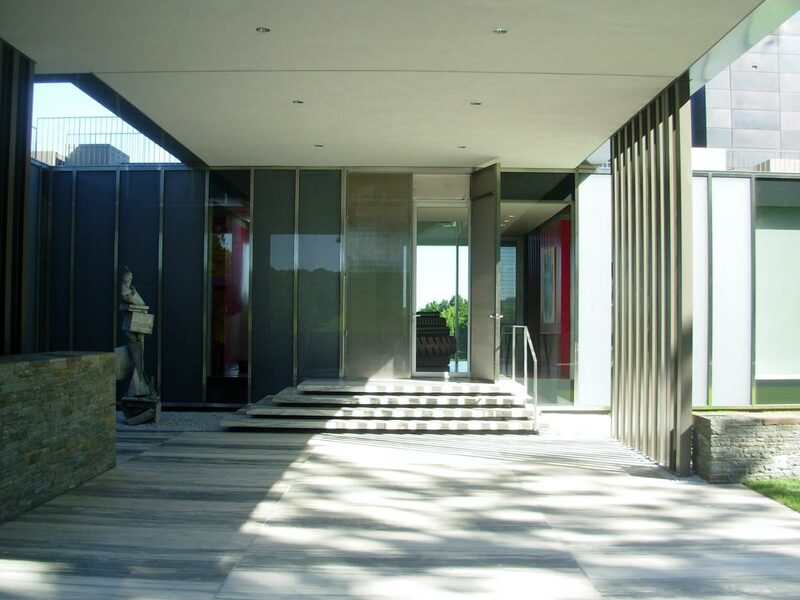 Artistic architectural elements transform a nondescript piece of real estate into an elegant and remarkable property. Precisely detailed metal fabrications enable architects to create functional structural building components that also look fantastic! While there are plenty of highly capable metal fabricators in every market, we have found that relatively few of them think of metal as an architectural element. Oftentimes, a well-directed conversation between the design/build team and the metal fabrication team results in a more beautifully accented and better-constructed building. Landscape architecture can be greatly enhanced as well, with such elements as unique border fencing, railings, bridges, arches and gates. Early discussions between architect, builder and our specialized team often lead to changes or even slight revisions that produce a better end result within the same budget. Take a simple example. Being able to identify when a bend can accomplish the same or better result as a weld, saves not only materials and skilled labor but an entire manufacturing step. An architecturally focused metal fabricator can also prevent very expensive repairs and reinstallations by avoiding communication gaps between the metals and design/build teams. There is without question a very high, sometimes priceless value in great architectural designs. We enjoy enabling our clients to creatively enrich their designs with metals, adding increased and lasting value to real estate investments. On a closing note, please browse through our new Website and view some of our featured work. As always, feel free to call us if you have a challenging metals design question at 603-402-3022.